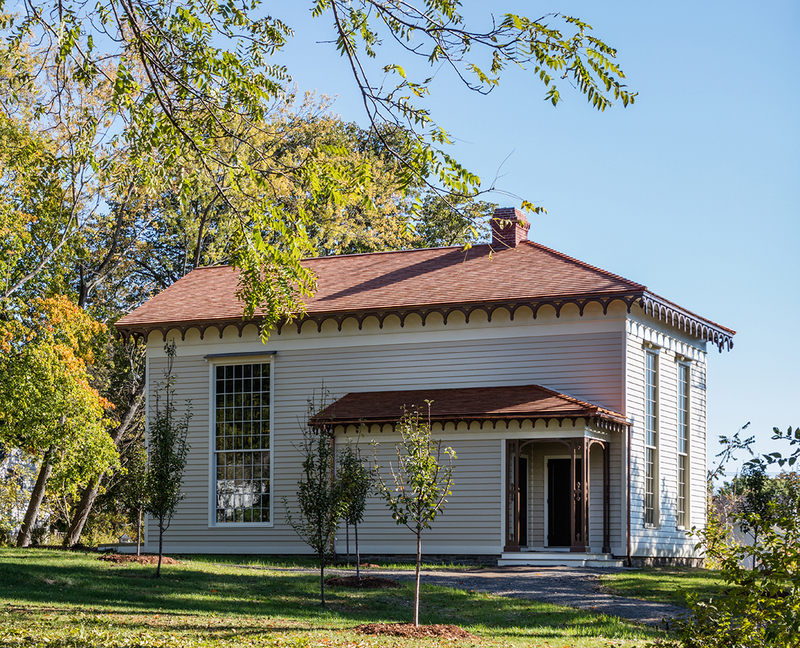 CATSKILL, N.Y. — The Thomas Cole National Historic Site’s inaugural art exhibition in its “New Studio” building will be “Thomas Cole: The Artist as Architect,” on view May 1–October 30. A view of the New Studio at the Thomas Cole National Historic Site. ©Peter Aaron. The reconstruction of this majestic Italianate building significantly enhances the Site, home of Thomas Cole (1801–1848), founder of the first distinctly American art movement. The New Studio, built in 1846, was designed by Cole, and demolished in 1973 before the historic site became a museum. The reconstruction, to be officially unveiled with the opening of the exhibition May 1, provides the Site with museum-quality climate-controlled space for displaying art. This exhibition will be the first to take advantage of that new capacity. Asher B. Durand (1796–1886), “Portrait of Thomas Cole,” 1838, oil on canvas, 30¼ by 25 inches. Berkshire Museum, Pittsfield, Mass., gift of Zenas Crane. “Artist as Architect” will be the first exhibition to focus on a little-known but highly significant aspect of Cole’s contribution to American art, his architectural achievements, including the design for a significant public building: the Ohio State Capitol. This is particularly notable because of Cole’s role as founder of the Hudson River School of art, which dominated American visual arts between 1825 and about 1870 and still influences contemporary artists today. The exhibition adds a new dimension to understanding and appreciating this artist whose paintings hang in important museums around the world. The exhibition, curated by noted scholar Annette Blaugrund with the assistance of associate curator Kate Menconeri, will include 29 paintings and drawings, as well as a scale model and the artist’s books about architecture. Central to the show is “The Architect’s Dream,” 1840, by Thomas Cole, on loan from the Toledo Museum of Art, which is lending this unusually large painting for the first time since the 1990s. Other institutions lending works to the exhibition include the Metropolitan Museum of Art, the Albany Institute of History and Art, The Columbus Museum of Art, the Detroit Institute of Arts, and the Wadsworth Atheneum. After the exhibition’s run at the Thomas Cole National Historic Site, it will travel to the Columbus Museum of Art, where it will be on view November 18–February 12 within walking distance of the Ohio State Capitol. Accompanying the exhibition is a new hardcover book of the same title (The Monacelli Press). The 120-page publication contains 63 full-color images; an essay by Dr Blaugrund about Cole’s architectural endeavors as seen in his paintings, drawings and realized projects; and a contextual essay on the legacy of Thomas Cole by Franklin Kelly, deputy director and chief curator at the National Gallery of Art. Exhibition curator Blaugrund is an independent scholar, author and curator and was director of the National Academy Museum for 11 years. 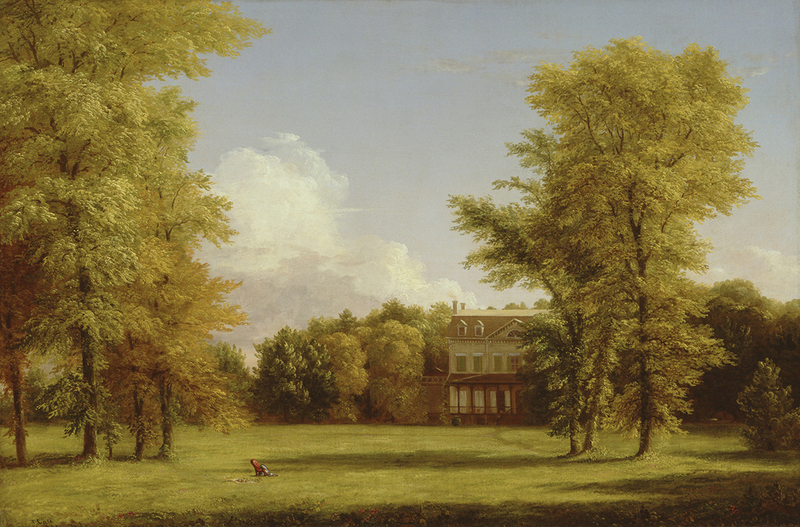 Thomas Cole (1801–1848), “The Van Rensselaer Manor House,” 1841, oil on canvas, 24 by 35¾ inches. 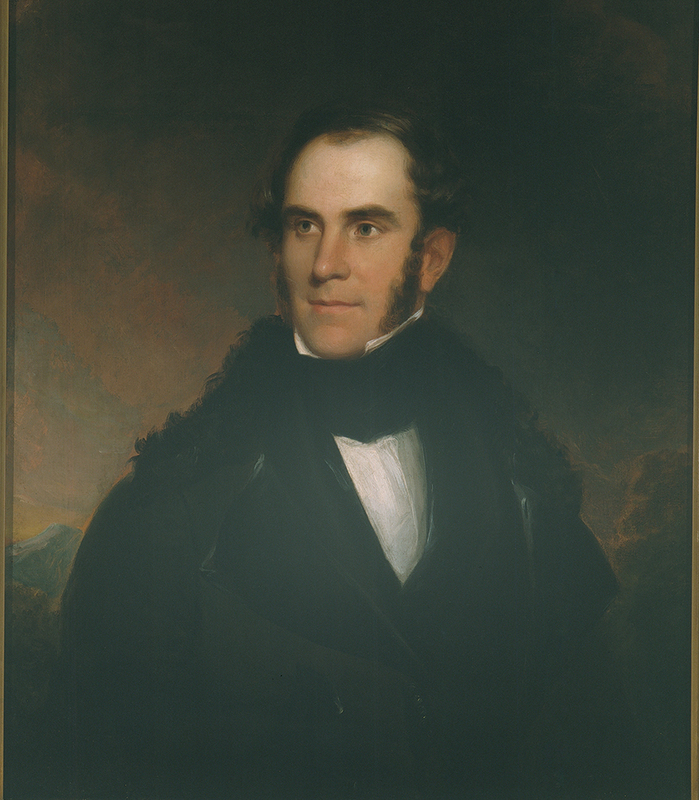 Albany Institute of History and Art, New York, bequest of Katherine E. Turnbull. The New Studio has been reconstructed, after many years of research and a successful capital campaign, on its original footprint across the lawn from the artist’s home. The exterior of the New Studio is an exact recreation of the space that Cole designed for use as his workspace for the last year of his life. The interior provides a museum-quality gallery that will now be used to illuminate Cole’s art and to highlight his influence on American art — past, present and future. The site is at 218 Spring Street. For more information, www.thomascole.org.